Town Elections will be held on Tuesday, March 11th. Town Meeting will be held on Wednesday, March 12th. Just in case you didn't hear, the town meeting has been postponed until Thursday, March 20, 7:00 PM at the Rec Center. Hope you all can make it. Two items of interest that might come up are the removal of the COAST bus system from the budget, which would effectively cancel bus service to Farmington, and the shrinking of the Goodwin Library budget. The last day to preregister to vote for the March 11th Town Election was Saturday, March 1st 2014. You can register at the election. Please remember that voter ID is needed to register AND/OR to vote. If you do not have an acceptable ID you may be “recognized” by an appropriate election official or sign a challenged voter affidavit form which will allow you to vote. Sign-up for Town/School Offices ran from January 22, 2014 through January 31, 2014. Download the Sample Ballot document. Petitioned warrant articles for the Town Warrant deadline was February 4th, 2014. Download the Warrant Articles document. Download the Proposed Budget document. 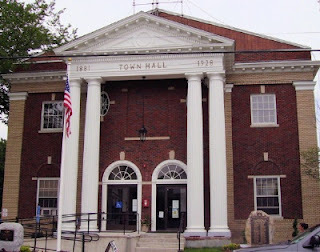 For more information, visit the Town Meeting Information page on the Town of Farmington website.